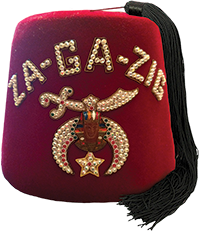 From its earliest days the Shriners were known for their philanthropic efforts across the country. 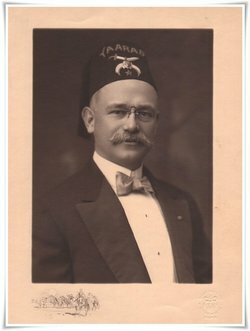 During a yellow fever epidemic in Jacksonville, Fla., members of the new Morocco Shrine and Masonic Knights Templar worked long hours to help the sick. In 1889 Shriners came to the aid of the Johnstown, Pa., flood victims. In fact, by 1898 there were 50,000 Shriners, and 71 of the 79 temples were engaged in some sort of philanthropic work. Distributing food and other aid to families in need after a natural disaster or disease epidemic was one of the Shrine’s earliest philanthropic activities. By the early 1900s the fraternity was growing quickly. And as the fraternity was growing, so was the support for establishing an official charity. Most temples had local philanthropies and sometimes the Shriners’ organization offered aid. After the 1906 San Francisco earthquake Shriners sent $25,000 to help the fallen city. Shriners contributed $10,000 for the relief of European war victims. But neither of these efforts, nor the projects of individual temples, satisfied the membership. 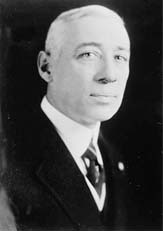 The idea to establish hospitals for children was brought to the membership in 1919 by Freeland Kendrick (P.I.P., Lu Lu Shriners, Philadelphia) after he visited a Scottish Rite Hospital for Crippled Children in Atlanta. This visit made Kendrick aware of the overwhelming need to care for children with orthopaedic disorders. 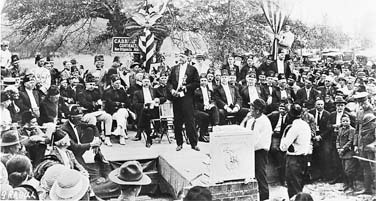 During his tenure as Imperial Potentate in 1919 and 1920, Kendrick traveled more than 150,000 miles, visiting a majority of the 146 Shrine temples and campaigning for an official philanthropy to be established. As Shriners Hospitals for Children® sprang up across North America, the mission behind this unique organization also grew. 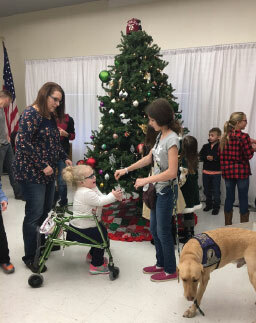 The Shriners quickly learned that there were two additional needs in supporting their mission to care for children. The first was research to help develop better medical treatments. The second was to educate medical professionals. The result is a three-pronged mission that has impacted medical care not just for children, but for people of all ages all over the world. Shriners Hospitals for Children conduct clinical research in every area of care, including orthopaedic disorders, burns, spinal cord injury treatment, and cleft lip and palate. These ongoing clinical studies are possible in large part because these hospitals are among the only facilities of their kind with a large population of children who have a variety of conditions. In many cases, what is learned in these research studies is able to be applied and shared right away so that care is constantly improving. So-called “bench” research is also a hallmark of the organization. This laboratory-based research has led to major discoveries in genetics, nutrition, metabolic function, wound healing and much more. However, Shriners Hospitals for Children may be best known for its work in burn research. 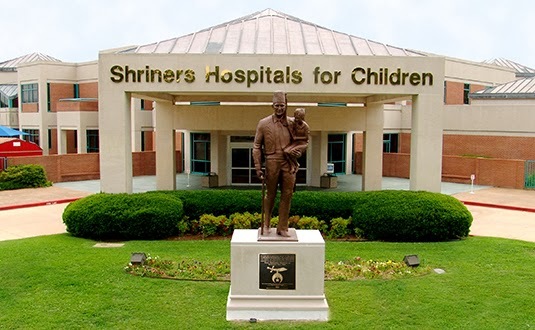 In fact, many of the treatments used as standard practice in burn centers across the country today originated within Shriners Hospitals for Children. 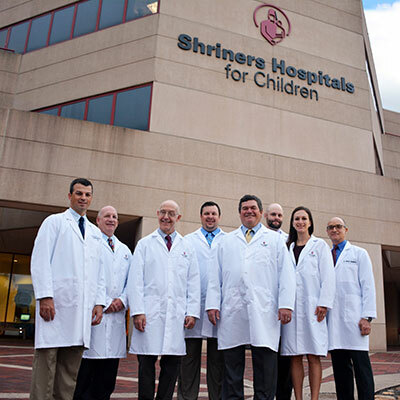 When it comes to pediatric orthopaedic care, Shriners Hospitals for Children are the experts, bar none. 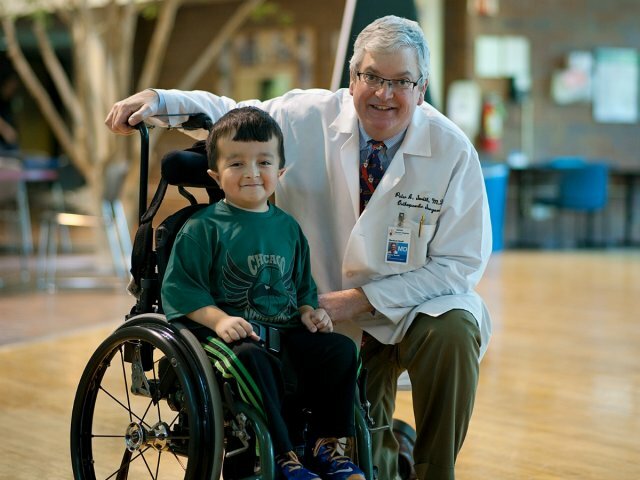 Virtually every pediatric orthopaedic specialist in the United States has done a rotation during their education at a Shriners Hospitals for Children. Each of our hospitals holds a close relationship with a major university medical center or hospital, and many of our surgeons and physicians are also professors. Shriners Hospitals for Children are also a training ground for other medical professionals like nurses, physical therapists, speech therapists, occupational therapists and others. This focus on education helps keep Shriners Hospitals for Children on the front lines of medicine, while helping disseminate the wealth of information learned here over the years.